The solar systems are individually operating systems that do not require connection to the grid, they are suitable for hard objects, objects constructed without electricity grid. - Pillar and stand for attaching the apparatus. Each system is calculated individually depending on customer preferences and parameters of components is chosen. Contact us to calculate together the most appropriate for your system. 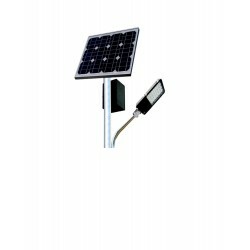 SOLAR LIGHTING SYSTEMS There are 4 products.